Orlando is finally here again, having not played in the postseason since the three-team deal that sent Dwight Howard to Houston and brought Nikola Vucevic here. They have plotted and gone through coach after coach, but finally, Steve Clifford is the one who brings them back. Toronto has yet to make it to the NBA Finals despite having loaded rosters a few times in the past four years. They have a chance now, however, with playoff experience in Gasol and Green/Leonard, plus Pascal Siakam is their most effective PF since Chris Bosh. Now that they are finally back in the postseason, the challenge can begin. This is a group that is extremely impressive, using their length and athleticism on defense to stifle their opponents. That all starts with their 6’10 SF, Jonathan Isaac. The former FSU Seminole is a tremendous asset on defense, who is also able to bury the three-ball. He has been cleared from to play and is now out of concussion protocol. He along with Vucevic, Ross, Fournier, Augustin, and Aaron Gordon all have to bring their A-game. 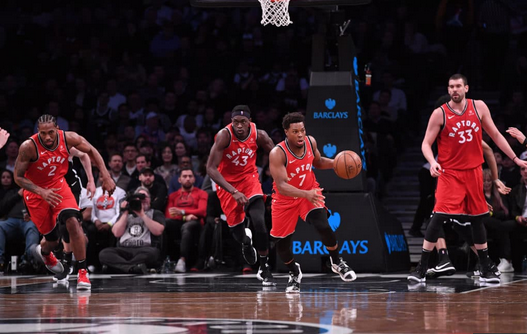 The matchups tend to favor the Raptors, but Orlando needs to change that narrative. Vucevic will have to outperform the Gasol/Ibaka duo. Gordon has to be at least AS GOOD as Siakam. DJ can’t really be ahead of Lowry. Fournier needs to D up on Danny Green and hit his own threes. And Jonathan Isaac has to be ready to try and lock Kawhi down. Here they are again. Last year’s #1 seed took down the Wizards in six games after taking a few losses at home. But this team is much improved. Kawhi Leonard, their prized offseason acquisition, is #3 all-time in win shares in the playoffs among players with at least 1,500 minutes played. DeMar DeRozan, who is now with the Spurs and was even benched at times during last year’s run, is #361 respectively. Adding all of the pieces they did, and revamping their starting lineup so that it doesn’t resemble anything from last year, makes them look very dangerous. On paper, it would seem that the Raptors should have an easy sweep, but there will be more to it. They are facing the best defensive team in the league from the past 2.5 months, who have won 22 of 32 games ahead of the postseason. They are going to need to be disciplined, and use the wild crowd they get to their advantage to dis-joint Orlando. Minnesota ended their long-drought last year and got rocked in the first round. Toronto will want to give the Magic the same treatment. Riding with Toronto, but be sure you bet ORL +8.5! They will give their opponents a run for their money but just won’t have enough fuel for the fire to pull through at the end of the game.